30 year old missing Kira Trevino’s body was recovered from the Mississippi River this past Wednesday in St. Paul, MN by a local worker. According to medical examiner, Trevino suffered from many injuries including a head wound, a broken finger and bruising inside her upper lip. She also had suffered from lacerations to her liver. Kira Trevino has been missing since February 21, 2013 in St. Paul, Minnesota when she failed to report to her job as a store manager at the Mall of America. Kira Trevino was last seen by her husband, Jeff Trevino, who has since been arrested on suspicion of murder. Investigators found “copious” amounts of blood evidence in the couple’s home. Jeffery Trevino is charged in Kira’s death and is scheduled to stand trial May 28. He remains jailed in Ramsey County on $1 million bond. A medical examiner says Kira Trevino, a 30-year-old Minnesota woman whose body was recovered from the Mississippi River on Wednesday, had suffered several injuries, including a head wound, a broken finger and bruising inside her upper lip. She also had suffered from lacerations to her liver, CBS Minnesota reports. Authorities say they will need to investigate further to determine if the injuries occurred before or after her death. Trevino’s body was discovered Wednesday along the Mississippi River in St. Paul, Minn. by a local worker. The Ramsey County Medical Examiner used dental records to identify the body as that of Trevino, who had been missing since Feb. 21. Court documents obtained by CBS Minnesota reveal Trevino was found without clothing and was not wearing any jewelry. 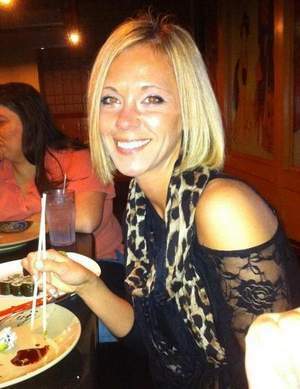 30 year old Kira Trevino has been missing since Friday, February 22, 2013 in St. Paul, Minnesota when she failed to report to her job as a store manager at the Mall of America. Trevino works as manager at Delia’s, a clothing store for teenage girls. According to St. Paul Police Sgt. Paul Paulos , Kira Trevino was last seen by her husband, Jeff Trevino, at the couple’s home on Friday. Co-workers have stated that it is very unlike Kira to just not show up for work and out of her character. I think we know where this is headed. Kira is 2001 graduate of D.C. Everest High School. Her maiden name is Steger. She’s described as having blonde hair, green eyes, 5’4”, and 110 lbs. Kira has family in Wisconsin. Kira Trevino’s car was found at the Mall of Americas. Kira Trevino, 30, works at Delia’s at Mall of America as a manager and hasn’t been heard from since Thursday night. Mall security noticed her car in a parking ramp on the west side of the mall at about 4:55 a.m. Monday and called police. Authorities canvassed the car and said there was “evidence that concerned investigators,” but they wouldn’t elaborate further on what that meant. She is described as about 5 feet, 4 inches tall with blonde hair, green eyes and weighing about 110 pounds. UPDATE I: So much for no body, no crime … Husband of missing Mall of America manager arrested on suspicion of murder after police conduct search of the Minnesota house they shared. The husband of missing Minnesota woman Kira Trevino, 30, has been taken into custody today on the suspicion that he murdered her. Jeffrey Trevino, 39, is being held at Ramsey County Jail following the disappearance of his wife, a manager at the Mall of America, who has not been seen since Friday. Her abandoned car was found in a Mall of America parking lot on Monday morning with her cell-phone and purse still inside and subsequently officers performed executed a search warrant at the couple’s home in the 500 block of Iowa Avenue E in St. Paul. UPDATE II: Investigators found “copious” amounts of blood evidence in the couple’s home. For more updates, to provide your opinions and analysis and to read others, go to Scared Monkeys Missing Persons Forum: Kira Trevino.